The first Amazon Go store opened over a year ago and there are now 10 locations across Seattle, Chicago, and San Francisco. These stores offer prepared foods, items regularly found at a convenience store, and, in some cases, groceries. And they’re proving popular with shoppers, with many making return visits. 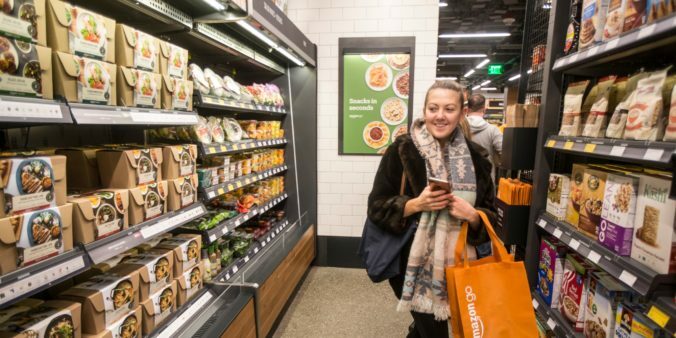 The emergence and relative success of Amazon Go and its convenient cashier-less shopping experience that bypasses physical checkout has some retailers concerned Amazon will use its innovative technology to compete with their stores. Amazon Go customers are more likely to shop at fast-casual restaurants and convenience stores than big box retailers. Consumers who shop at Amazon Go over-index at fast-casual restaurants like Freshii and Chipotle and other speedy retailers including Starbucks and 7-Eleven, according to a report from inMarket sent to us. 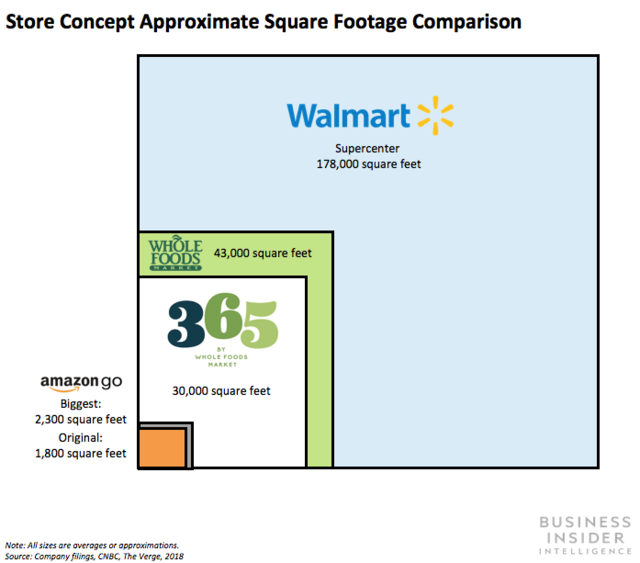 This overlap is likely because the other retailers’ speed is part of their value, just like it is for Amazon Go, and also because some of them offer similar products to Amazon Go. Meanwhile, Amazon Go shoppers under-index at big box retailers including Walmart, Target, and Costco. These types of stores offer a very different experience and product selection compared with Amazon Go stores, generally requiring a longer trip and more purchases, so Amazon Go doesn’t appear to be competing with these retailers as directly. This means that Amazon Go should have quick-service restaurants (QSRs) and convenience stores on high-alert. Amazon Go is directly competing with these types of stores in Seattle, Chicago, and San Francisco because it offers similar products and can often serve as a substitute. And considering some consumers turn to QSRs and convenience stores for their speed, Amazon Go is a serious threat to their future success. Amazon Go’s technology saves consumers time since they don’t need to stop to check out of a store, and if Amazon follows through on its reported interest in opening 3,000 Go stores by 2021, a significant number of retailers will be facing competition from stores with superior shopping experiences. But other retailers should also be wary of Amazon Go as it expands, if it’s able to scale its technology. Amazon Go’s physical checkout-less experience should hold appeal for all types of product categories, potentially threatening any store. But autonomous shopping technology hasn’t been scaled for large stores yet: Neither Amazon Go nor its competitors in the space have opened or outfitted a store bigger than a convenience store with autonomous checkout technology. Doing so would be difficult since the technology needs to track all people and products in a store at once. Amazon is reportedly working on this process, but considering the e-tailer has been building new stores for its Go locations, even if its technology gains the ability to track a large store it’ll still have to make the significant investment of building them.